Halloween is a favorite holiday for children because they get to dress as their heroes and go door-to-door in search of candy. While safety may not be at the forefront of their minds, adults need to ensure that their children are careful and out of harm’s way with the following tips. Whether your child chooses to dress up as their favorite cartoon character or go as a scary ghost, you want your child to be safe on this special day. Reflective strips or material that glows in the dark can protect them as they cross dark streets while trick-or-treating. With bonfires, luminaries and lit pumpkins, your child can be exposed to open flames. 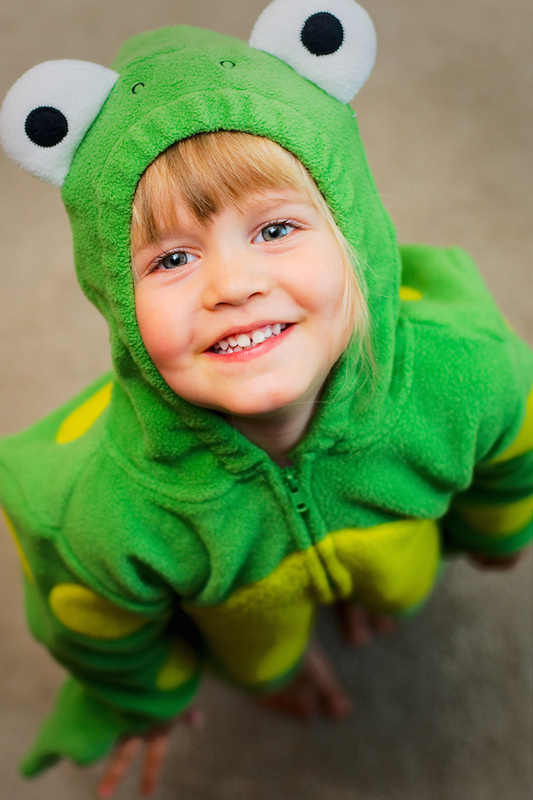 Your child’s costume should be flame retardant and resistant to flames and other fire hazards. If you make your child’s costume, there are flame retardant sprays you can purchase and apply. If your child’s costume consists of a mask, you may want to opt for makeup instead. However, if they insist on the decorative facial garb, you should choose something with sufficient openings for both the eyes and nose. You can also redesign the mask so only the top or bottom portion is used to give enough sight and air for your child. If you’re unsure whether you want your children to go trick-or-treating, you can enlist the help of your fellow neighbors to host a community Halloween party. A room at the local Park District or neighborhood backyards can serve as your backdrop. Assign treats, games, beverages and prizes for each household within the community for a bigger extravaganza. You can also have your children parade the sidewalks in search of the best costume. Trick-or-Treating is a favorite activity on Halloween. Unfortunately, many parents are leery of sending their children out alone. You can make this a supervised fun activity by gathering up your friends and family members and traversing the community together with other adults. If your children are old enough to go alone, GPS tracking devices are ideal because they let you know exactly where your children are through a cellphone app. Before you child devours their favorite treat, your local law enforcement agency can x-ray the candy for possible contaminations such as razor blades and needles. If you choose to stay home and pass out candy instead of venturing out, you can alleviate unwanted lawsuits and pet bites by putting the family pet in a safe location for the evening. The right kind of lighting can also illuminate sidewalks, drives and walkways and help prevent children from injuries caused by trips and spills. For those in search of alternative activities on Halloween, local cellphone apps have the capability to locate your areas community events. Things such as costume parties, parades, festivities at the zoo, pumpkin carving and ghost stories can all be at your fingertips by punching in your zip code. If your child is a pre-teen or young adult, they still may like to celebrate the holiday. While it can be tempting for some teens to find illegal activities such as egging homes and toilet papering trees, you can take a proactive approach by hosting your own teen Halloween party. This allows you the chance to keep your children and their friends safe and ensure that your celebration is alcohol and drug-free. As a parent, it’s your job to keep your children safe no matter what their age. Holidays such as Halloween are no exception and ensuring that they maintain a happy and healthy celebration can be made easy with the above safety tips. 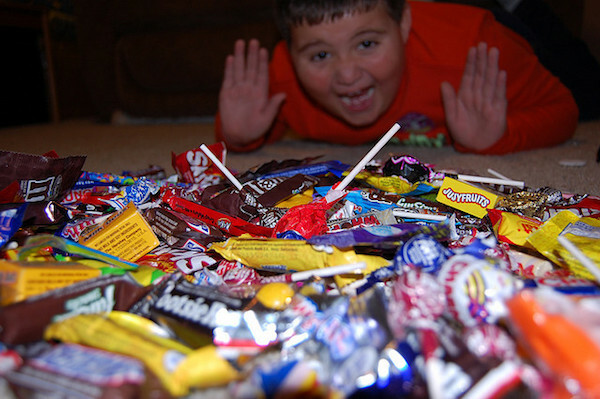 i love halloween but I dont let my kids eat all the candies, theres just too much! I like the idea of a community party. We would often go to the mall and go from store to store for trick or treating when our daughter was little. I think this is the holiday that terrifies me most every year! So much to watch out for! Unfortunately, it’s not like it used to be when I was a kid. But yes, the community party I like the most! Getting the kid candy x-rayed is so important! There are so many better options instead of allowing your child to go trick or treating door to door: The YWCA or YMCA often hosts Halloween parties,local churches may opt for a “Harvest Festival”, and then of course there’s the local Malls, who are generally thrilled to have an excuse to invite more customers: My advice is to be sure your child has a full tummy beforeleaving home- this ensures less fussiness & a calmer experience. Halloweens in our new neighborhood are awesome. Everyone is out and about and people sit outside waiting for the little ones. These are such great tips. We live in the city and in apartments so trick or treating is a little different for us each year. We do a lot of fall festivals at our local churches. I have taken my kids trick or treating with my father-in-law a few times, but each time I was more nervous than a mother hen. Halloween is one of my favorite holidays, but it does have its risks. I worry about the kids crossing the street in dark costumes, who else might be out there, and how late they are going to stay up after they eat twelve pounds of sugar. Mostly that last one. These are some great ways to keep Halloween safe. I will keep them in mind for the grandkids. My last town did trunk or treating at the high school. I miss that. It was such a great way for kids to trick or treat safely. I’m with my kids all the time at Halloween, but I do worry about them sneaking candy. We love Halloween! I’m excited to see what happens this year at Halloween since we are in a new neighborhood. We don’t really trick or treat, but these are wonderful tips! Yes, this is my favorite season but you must be careful. I am a Halloween addict but have always been fearful of trick or treating. Thankfully there is always something fun to do!